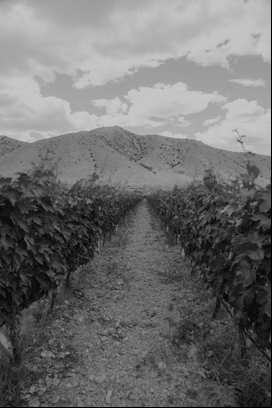 Domaine Zafeirakis represents one of the most exciting new Domaines of Greece. 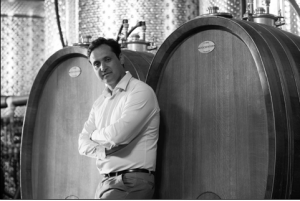 Nestled in the foothills of Mount Olympus, in the region of Thessaly, Christos Zafeirakis has built a winery both in honor and continuation of the four generations of winemakers in his family that preceded him. Having an impressive resume including completing his oenology masters degree at the University of Milan and consecutive years of work in Tuscany, Piedmont, and Alto Adige, Christos returned to Tirnavos and immediately started to set new standards by creating the first organic vineyard in the area in 2005. As if that weren’t enough, he extended the family’s holdings to 8 hectares and worked tirelessly to reintroduce the obscure native varietal Limniona which was nearly extinct due to the phylloxara epidemic 80 years prior. Christos Zafeirakis’ wines are all certified organic. Spontaneous yeast fermentation is a must, whether the vinfication is happening in stainless steel or in the 1200L Austrian fermentors he employs for his reds. Additionally an intensive selection massale is taking place at Domaine Zafeirakis, and he continues to refine the clonal selection through this process to raise the bar of his wines year after year.